District heatings share on heat supply in Europe is about 7.4%, with some EU Member States and Associated Countries having a much higher share. In order to preserve existing heating networks and to increase their efficiency, successful approaches to diagnosing and retrofitting inefficient networks, including sustainable business and organisational models, must be widely promoted and disseminated. Many systems are old and inefficient and run using fossil fuels. These systems often have poor maintenance, high customer heat costs and limited ability for user control undermining the image of district heating. 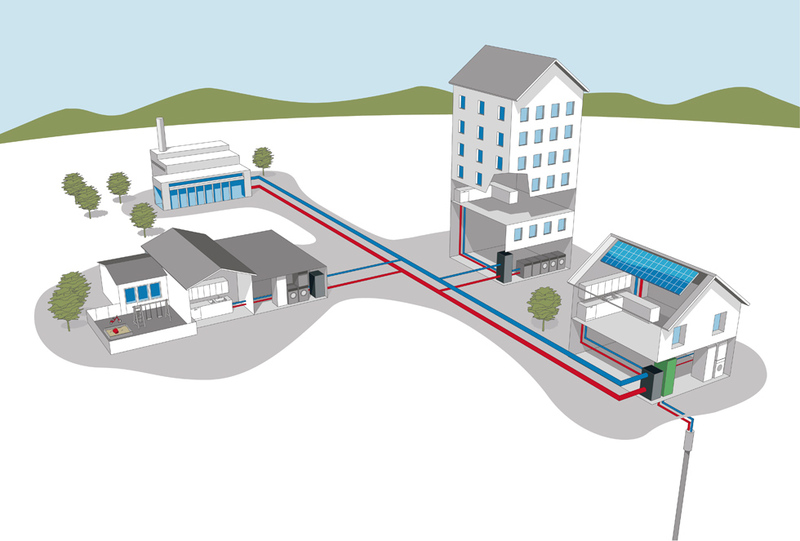 The result is that a significant number of customers disconnect from district heating networks and install individual heating systems which do not always take advantage of the potential for efficiency gains. The retrofitting of these district heating systems can offer a cost-effective approach to supplying efficient heat. Schemes can include city-wide networks or networks at the district/neighborhood level. With members of ICN, an international consortium was formed to fulfill the project. These members are clusters organizations around Europe. With the members and partners of these clusters the goals is to create an overall action plan for national or regional authorities, implement innovative and cleantech solutions and to analyse the strengths, but also the opportunities of existing networks.